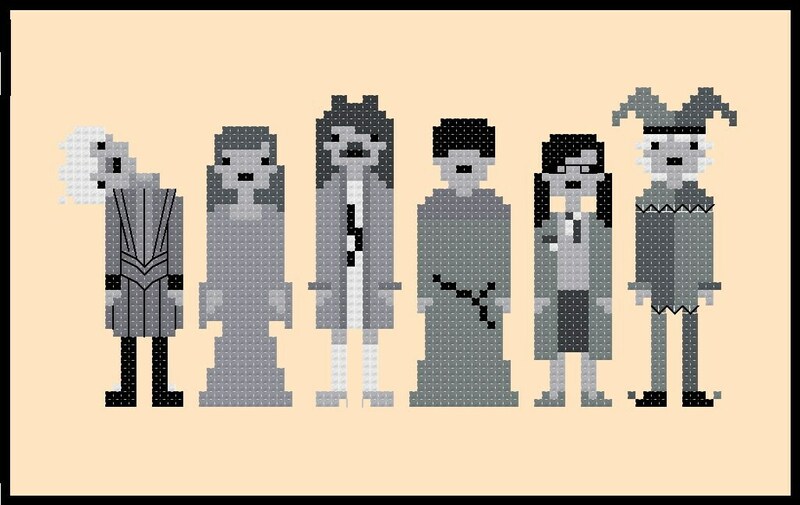 Recreate some Harry Potter magic with your own unique set of Hogwarts Ghosts. 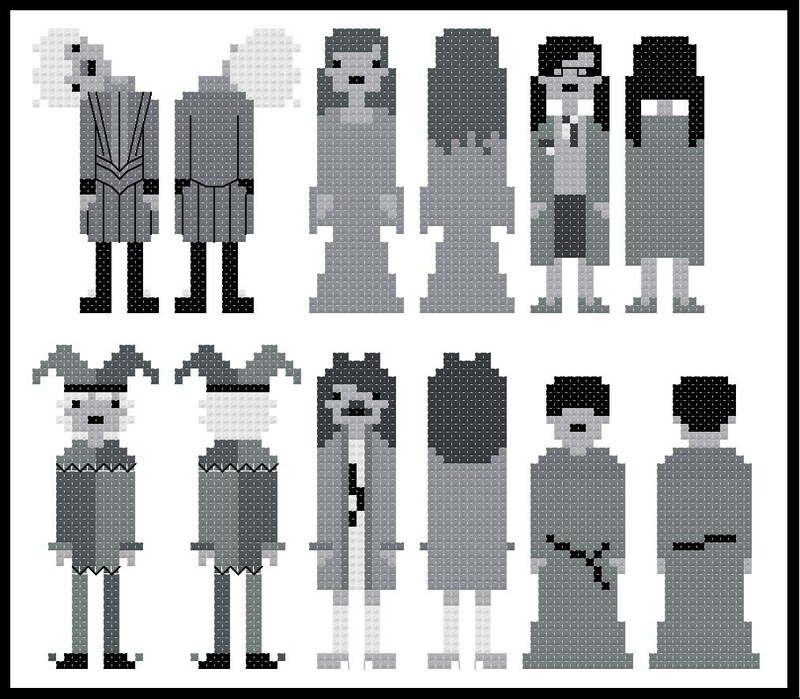 This listing includes two cross stitch patterns featuring the ghosts of Hogwarts: Nearly-Headless Nick, The Grey Lady, The Bloody Barron, The Fat Friar, Moaning Myrtle, and Peeves the Polergist. 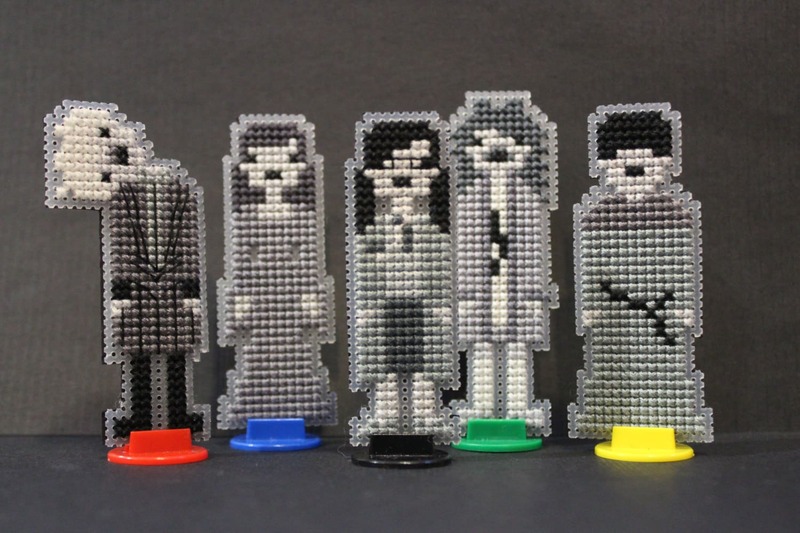 The first pattern is for the figurines. Included are patterns for the front and back of each figure - turn them into boardgame pieces, Christmas decorations, placecard settings, bookmarks etc. The second pattern is for the wall hanging picture. The pattern comes with two colour PDF patterns, as well as an instruction sheet for making your playing pieces. The floss chart is DMC and Anchor, although of course you can adapt it to suit your preferred brand of threads.